Not sure where to start? This new matching option matches positions from the old form to the new form based on performers' distance between forms. Radial clones, linear clones, concentric clones. We're seeing double. And triple. And quad...you get the point. Introducing the Z Axis, featuring performers on props, props on props, pass-overs, pass-unders, and pass-throughs. The new Stagger editing tool allows you to set performers to step off/drop off at any count of the transition. Easily chain the step off/drop off between performers for dissolves and scatters. Sound awesome? It is. No need to fear when the director tells you they want 40 props on the field to move throughout the show. With version 9, you can enter and edit props just as fast as performers. You’ll even be able to print out prop coordinates, too. We're much better software developers than video editors. Not all polish is under the hood. 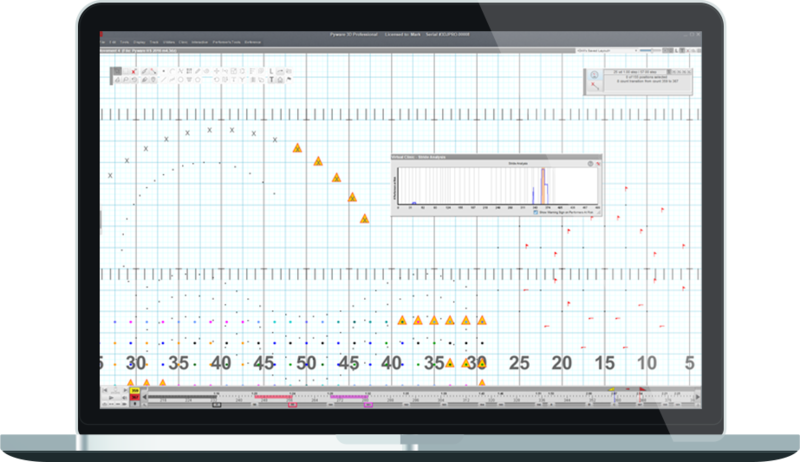 New look & feel + UI scaling for high resolution displays + tools combined for less clicks = productivity. Is this too many trumpets? Set a focal point (area on the field, or a prop/performer) for performers to face to and/or away from. If your instructions don't make sense, try adding simple shapes and colors. 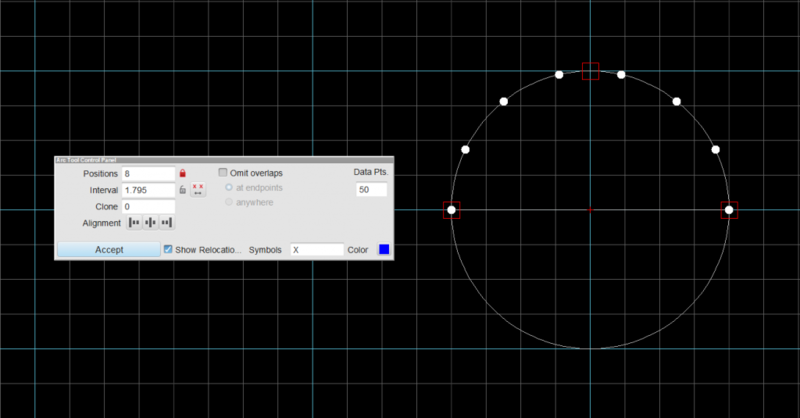 We simplified the Arrow tool and added the ability to create arrows from your drawing tools. Because how else do you clean a 3.162 step interval? 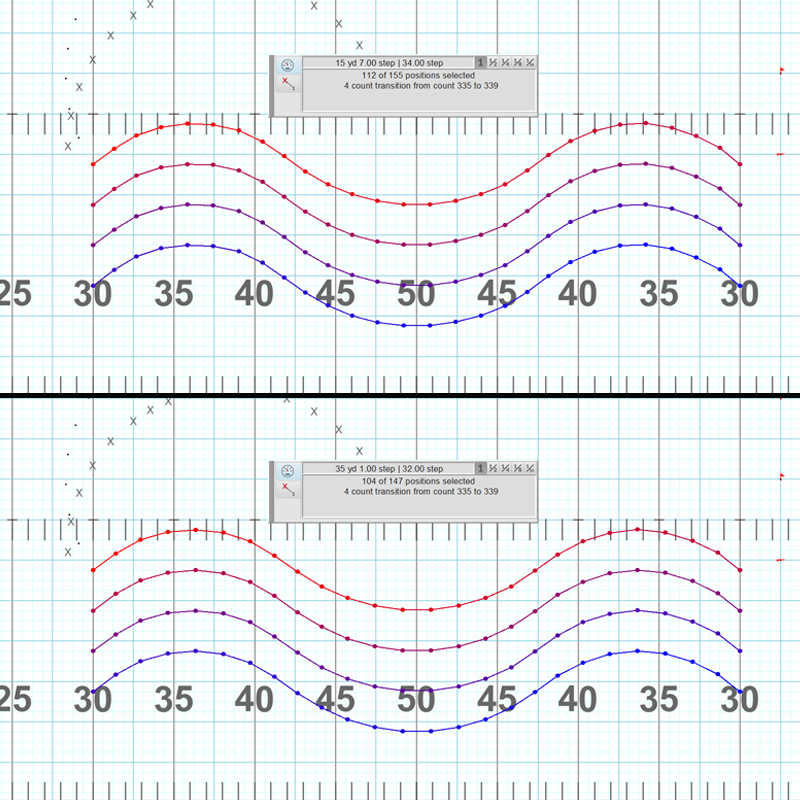 The most trusted name in drill design, ever. All drawing tools in 3D are simple and intuitive. 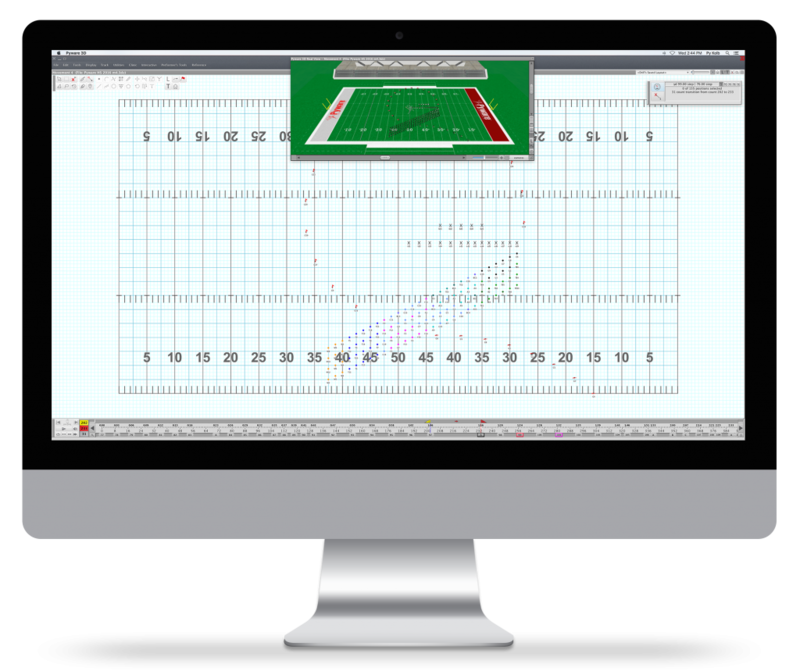 With lines and curves, spirals and polygons, filled shapes and scripts, you can specify the exact location, number of performers, and interval of your desired formations. 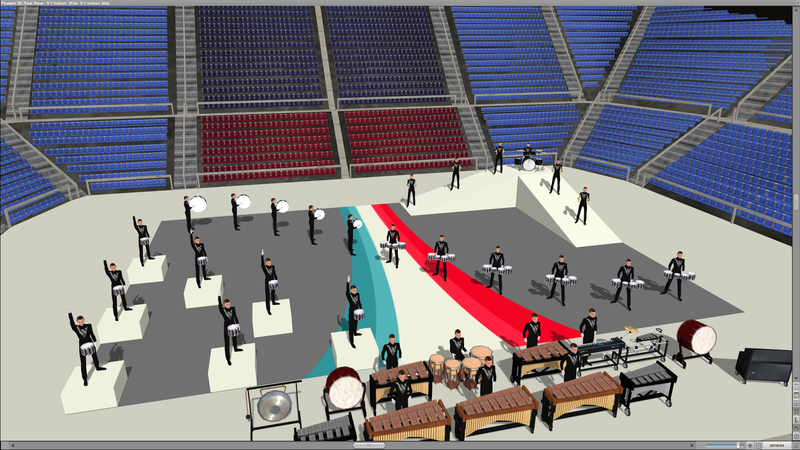 Pyware 3D’s Real View touts fluid marching and visual animations, customizable props, uniforms, instrumentation, venues, surfaces and more. With Pyware 3D’s Virtual Clinic, 4 different analyzers constantly scan your drill and provide live feedback. 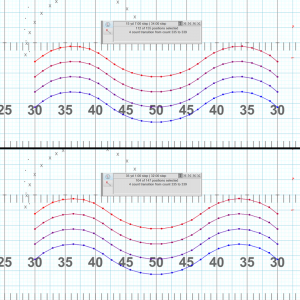 Watch for excessive strides, collisions, extreme direction changes and inconsistencies before hitting the field. 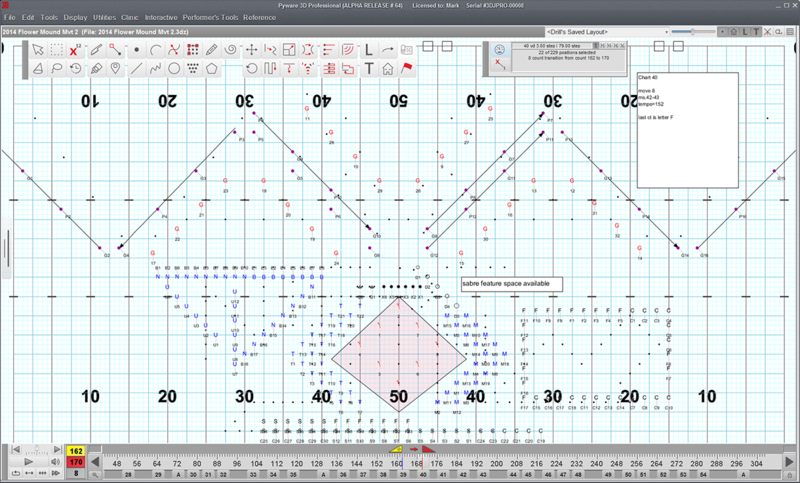 Ever had a numbers change in your ensemble? Us too. With Pyware, you can quickly add or remove cast members in the Drill Rewrite utility. Write forwards or backwards, and add or remove counts anywhere, at any time with 3D’s patented Count Track. Over 35 years in the industry. Not many software companies can say that. 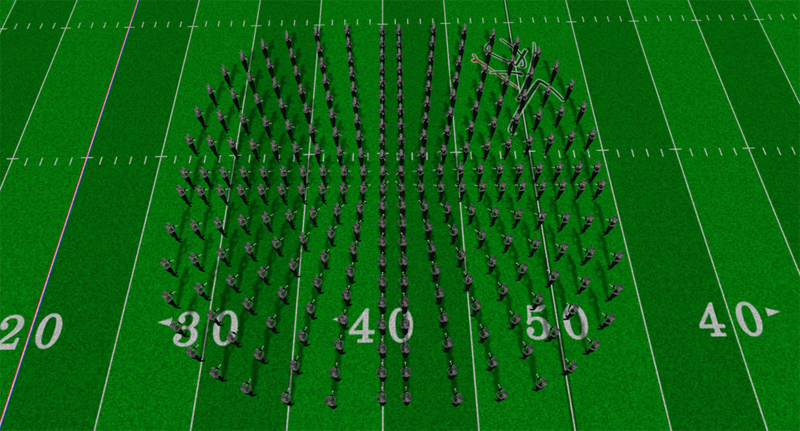 If it’s happened in the marching arts, Pyware has seen it. 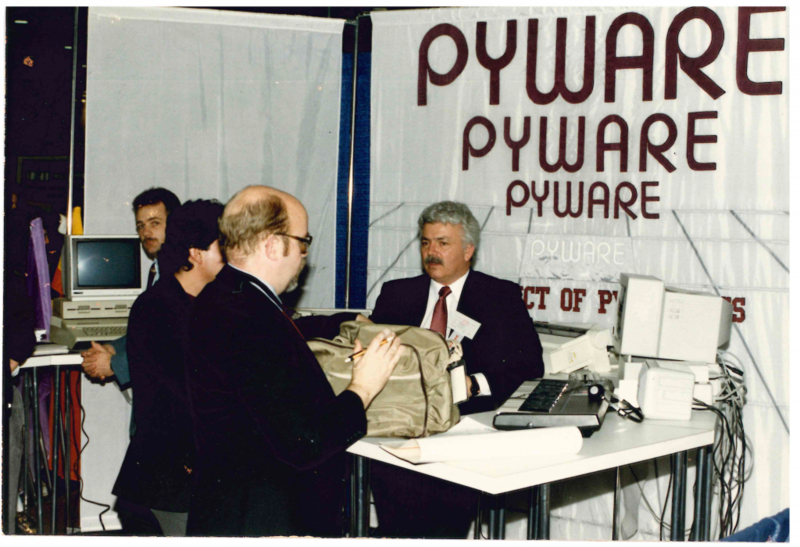 When you purchase Pyware, you’re getting decades of experience coupled with unrivaled customer support. The software’s pretty great, too.